There is a piece of Estonian land where men are a very rare sight. 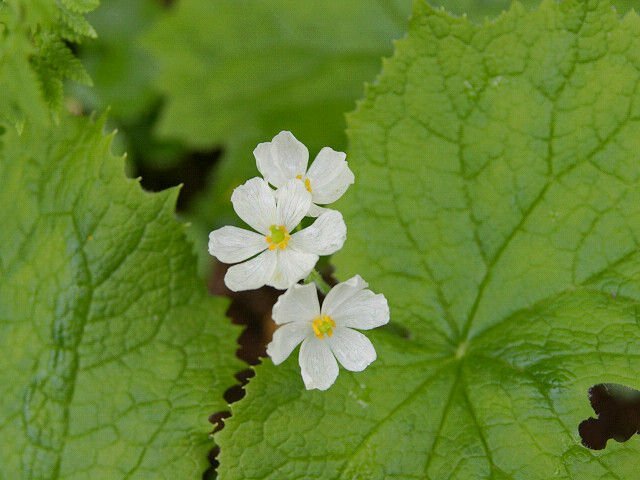 The island of Kihnu, located in the Baltic Sea, seven miles off the country’s west coast, is a domain ruled by women. This quaint place of pastoral tranquility and just 400 inhabitants is one of the world’s last matriarchal societies. It’s not that the women of Kihnu have anything against men; it’s just that they have no choice but hold the social and administrative reins. That’s because the male population is away for months on end, providing for the small community by fishing. This leaves the ladies responsible for running things and they have been doing so for centuries – raising the kids, working in the fields, and handling matters of governance. 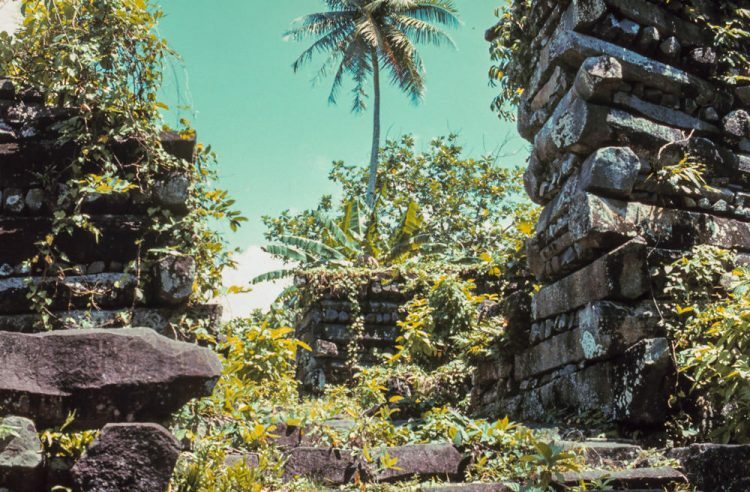 In a remote region of the western Pacific, just north of the equator, lies the ruins of the ancient and enigmatic city of Nan Madol. The magnificent ruin, built in a lagoon on the east side of Micronesian island Pohnpei, consists of 92 artificial islets constructed on coral reefs which are linked by a network of canals, giving it the nickname Venice of the Pacific. Nan Madol is an engineering wonder, with massive basalt walls reaching 16 meters high in some places. 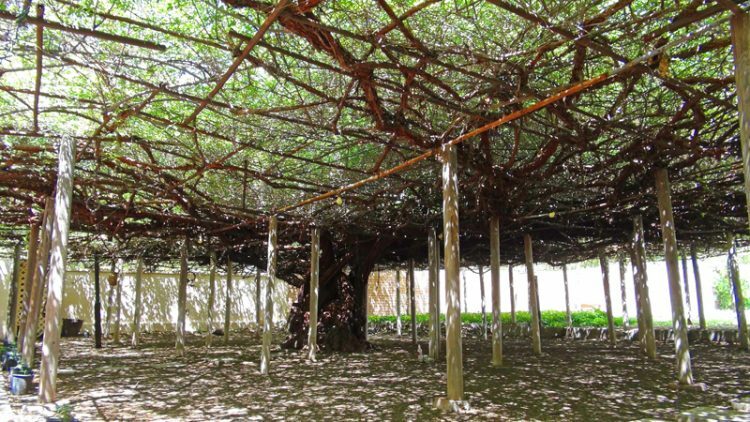 Carbon dating indicates the structures are around 900 years old, but the islets themselves date even further back to the 8th and 9th centuries AD. The basalt stones originated on the opposite side of Pohnpei from a volcanic plug, where magma had hardened within the vent of an active volcano. What has modern archeologists mystified is how these massive stones were moved from one side of Pohnpei to the other using what primitive technology would have been available at the time. Furthermore, once the basalt had been successfully transported, it would have then been hoisted to heights of 16 meters. The effort required to build the megalithic structures would have rivaled that of the Egyptian pyramids, with a total area of 75 hectares, and an estimated total weight of 750,000 metric tons. 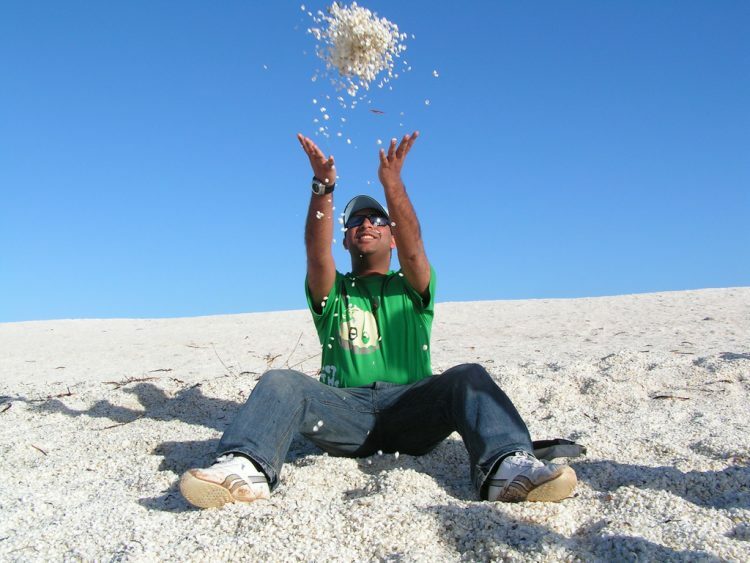 Australia’s Shark Bay World Heritage Area is home to Shell Beach, one of only two places around the world where beach sand is completely replaced by sea shells. Imagine billions of white cockle shells stretching out as far as the eye can see, and you get a pretty good idea of how amazing Shell Beach looks. Located on the western edge of the Australian continent, this unique tourist attraction stretches for a whopping 70 km, which makes it look like an endless sea of shells meeting the ocean. And if you’re thinking that the shells only make up a superficial layer, we’ll have you know that in some places, they reach 10 meters deep. If you ever decide to visit the medieval village of Obidos, in Portugal, you needn’t bother bringing a book to pass the time. 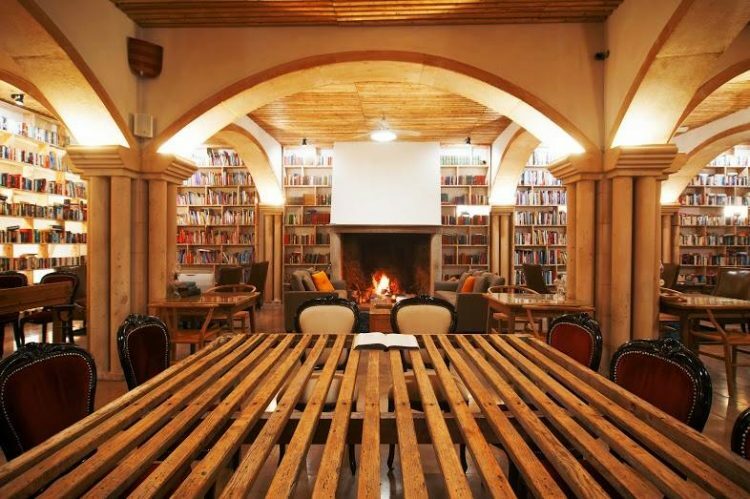 Just book a stay at The Literary Man hotel and you can choose from its collection of over 50,000 books. Established in 2015, The Literary Man has already become famous as the world’s best hotel for book lovers. It features a constantly growing collection of literary works, most of which are written in English. Books can be found virtually everywhere inside The Literary Man, lining the walls of its massive lounge, on the bed stands of its 30 bedrooms, at the in-house gin bar, and even in its old wine cellar. The over 50,000 literary works cover a variety of genres, from novels and poetry to cookbooks. 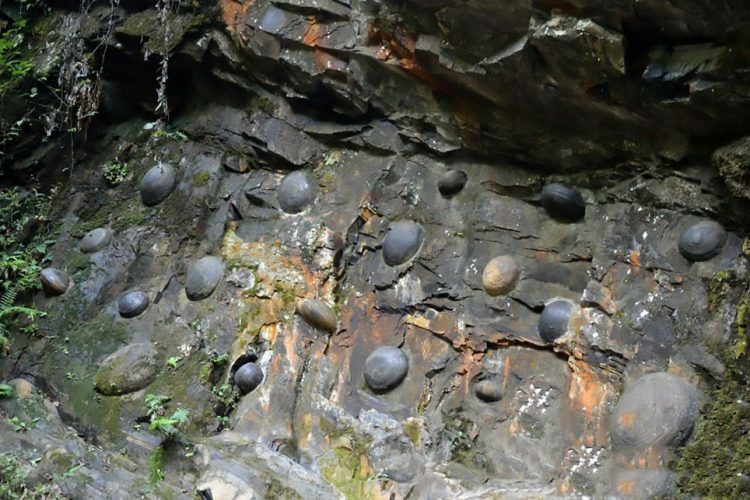 Located in Qiannan Buyi and Miao Autonomous Region, China’s Guizhou Province, Chan Da Ya – Mandarin for “egg laying cliff” – has been puzzling geologists for decades. The 9ft high and 65ft long heavily eroded formation has an uneven surface dotted with dozens of round and oval-shaped stones of various sizes. As the elements continue to eat away at the cliff, the harder “eggs” become even more exposed and eventually fall out of their natural sockets. According to the people of the nearby Gulu village, Chan Da Ya takes 30 years to lay its strange stone eggs. From discarded plastic bottles and wrappers to the cow dung littering the streets of major cities like Delhi, trash is a big problem in India, but not in the small village of Mawlynnong. People here have zero tolerance for garbage and spend a lot of their time making sure every square inch of their village is spotless. 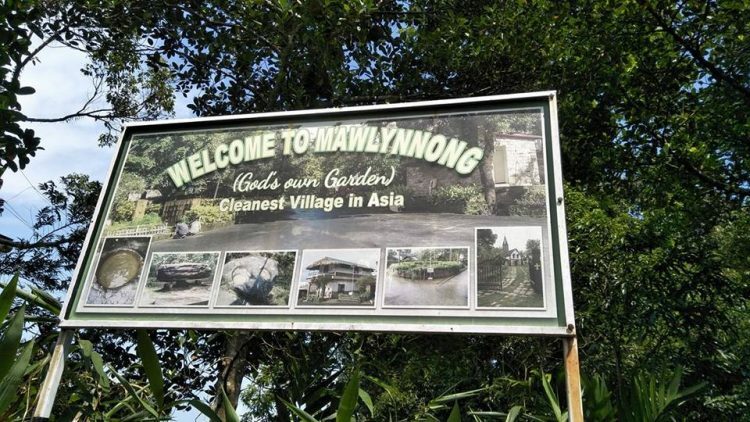 Mawlynnong first made news headlines in 2003, when a journalist from Discover Magazine dubbed it “Asia’s cleanest village”. After hearing about this place where everyone, from young children to the elderly, was dedicated to maintaining a state of complete cleanliness, he decided to investigate, and was so impressed by what he witnessed during his stay that he deemed Mawlynnong worthy of the title of cleanest village in all of Asia. His article drew a lot of attention to the community of around 600 people in the Indian state of Meghalaya, and people from all over the world started traveling there to see this example of cleanliness for themselves. The majestic bald eagle is the national bird of the United States, but most Americans are lucky to see one first-hand during their lifetimes. Unless they live in the town of Unalaska, Alaska, where bald eagles are as common as pigeons are in other human settlements. 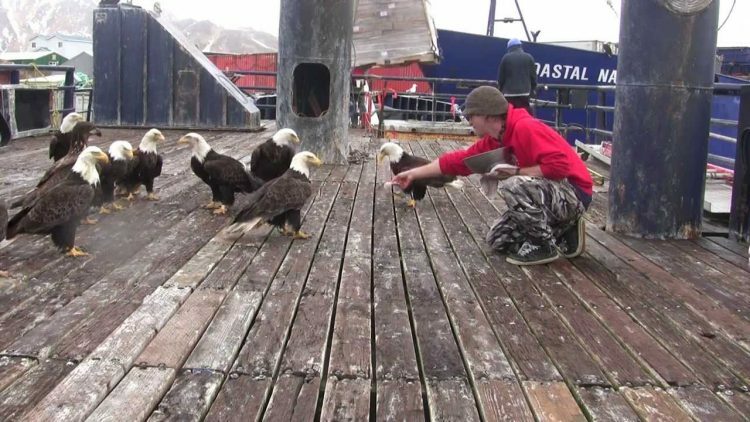 Unalaska is home to around 4,700 people who have to share their space with over 600 beautiful bald eagles. It looks and sounds like something out of a fairytale, but it turns out that sharing your home with territorial predators also has its downsides. For one thing, you’re more likely to get attacked by a bald eagle in Unalaska than anywhere else in the US, and locals constantly have to keep an eye out for the birds, especially when going near their nests. 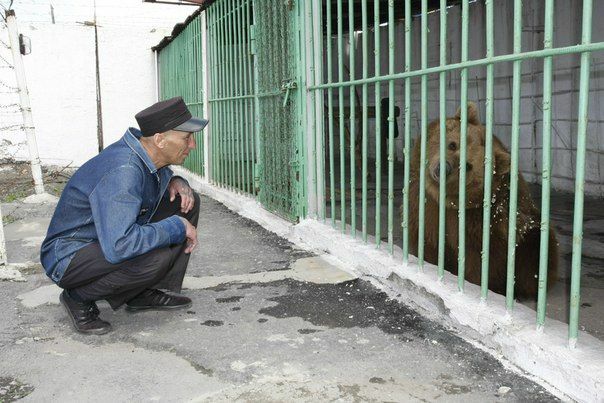 They apparently hate it when people get too close. Alberto Gutierrez Giron has been living alone in the mountains of Nicaragua for nearly 40 years, sculpting a 300-foot long cliff into a giant artwork, just like the one he saw in a dream, when he turned 9-years-old. Popularly known as the “Hermit of Nicaragua”, “Stone Man” or “Sculptor of the Mountain”, Alberto Gutierez claims he was born on October 17, 1944 – although he doesn’t have a birth certificate anymore – in a village near Esteli City. He had always loved exploring the forests around his home, and at age 33, he decided he wanted to live his whole life surrounded by nature, creating an epic stone artwork he had dreamed of as a young boy. He had been thinking about it for years, but during the war that swept Nicaragua at the time, it seemed like the perfect opportunity to get away from it all. In the Indian state of Rajasthan, some 50 km from the city of Jodhpur, along National Highway 65, there is a temple. 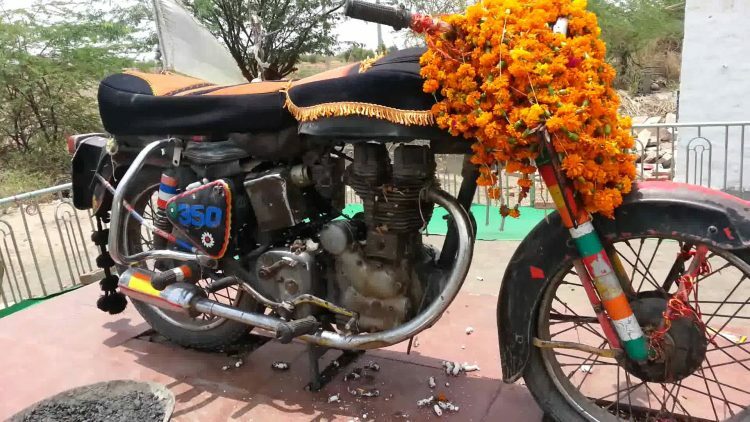 That, in itself, is not unusual, as temples are virtually everywhere in India, but what is strange is that the deities worshiped here are an old Royal Enfield 350cc motorcycle and its deceased owner. The story of “Om Bana” or “Bullet Baba” temple dates back to an accident that occurred almost three decades ago. On December 23rd, 1988, Om Singh Rathore, the 23-year-old son of a village elder in Chotila, Pali district, was riding home on his motorcycle when he lost control, hit a tree and was catapulted into a 20-foot, where he died on the spot. 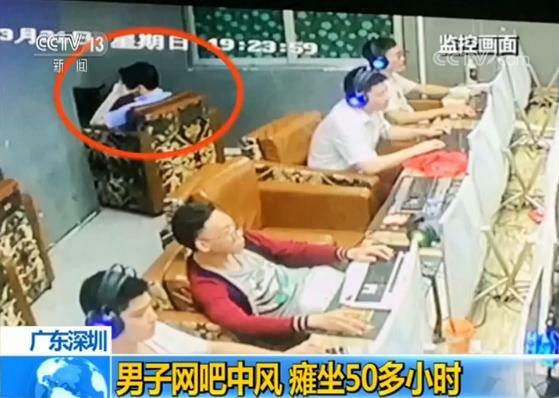 His body was discovered the next day, and the broken “Bullet” motorcycle was taken to the police station. And that’s where things start to get weird. 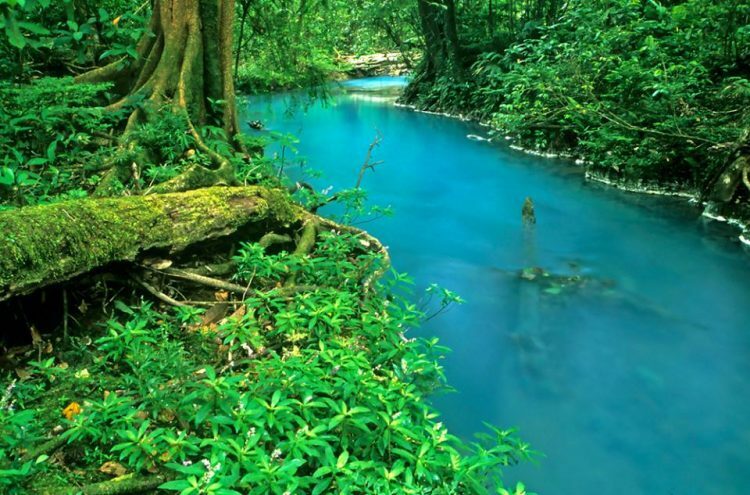 Up until four years ago, Rio Celeste, a 14-kilometer river in Costa Rica’s Alajuela province, was a complete mystery to scientists, who could not understand why its waters had an unusual turquoise color. And then they realized that it wasn’t turquoise at all. Theories regarding the turquoise color of Rio Celeste had been circulating in the scientific community for years, but nobody had ever managed to provide enough evidence to solve this natural enigma. Some claimed that the unusual coloring was caused by high levels of copper, but tests revealed that there was no copper in the water, others said that it was due to chemicals like calcium carbonate and sulfur, and some even connected it to the river’s proximity to the Tenorio Volcano. Everyone was so convinced that a mysterious chemical reaction was turning the water turquoise that they never even entertained the possibility of an optical illusion. Most times of the year, Hallerbos is a beautiful but unremarkable forest in central Belgium, near Brussels. 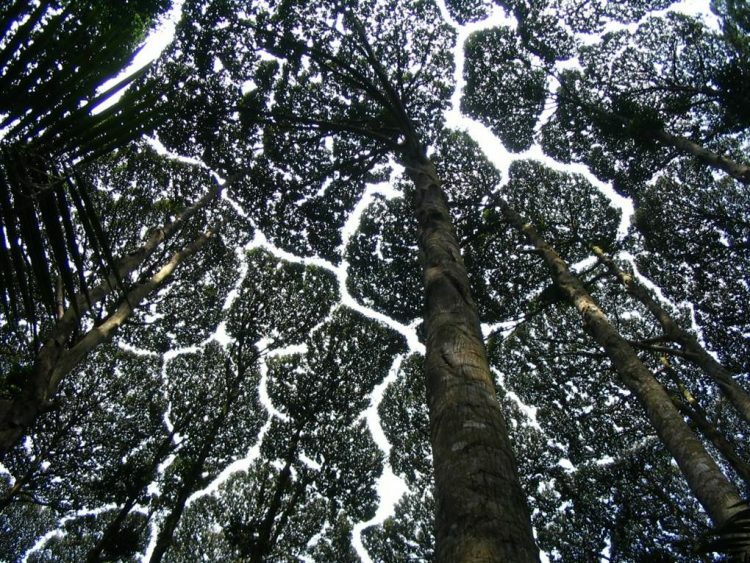 However, in mid-April and all through May, it turns into the Blue Forest, a fairytale-like natural attraction unlike any other. 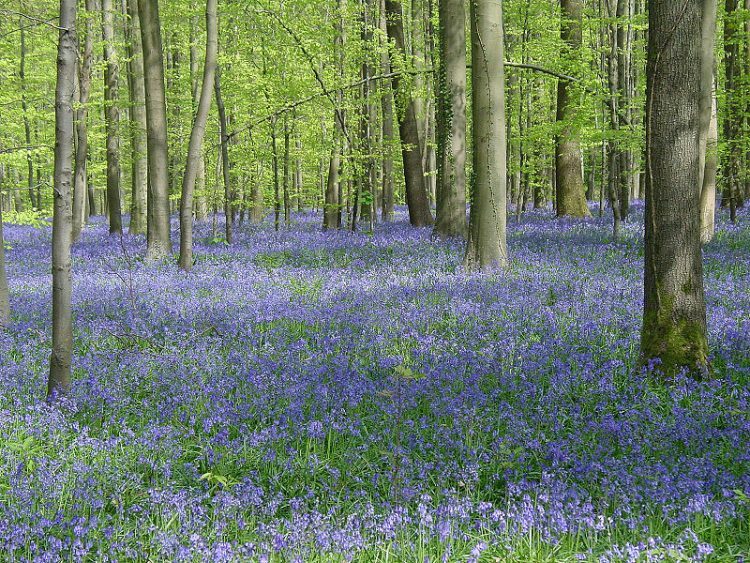 The Blue Forest of Belgium gets its intriguing name from the vibrant carpet of bluebells that replaces the usual brown floor of the forest. Imagine millions of flowers covering the ground as far as the eye can see and you can get a pretty good idea of what this place is like in full-bloom. Bluebell forests are not unusual in Europe, but what makes Hallerbos unique is the density of the flowers that make its floor look like a living carpet. Located in the Swiss Alps, near the famous resort of St. Moritz, the commune of Bergün/Bravuogn is one of the most beautiful mountain villages in Europe. 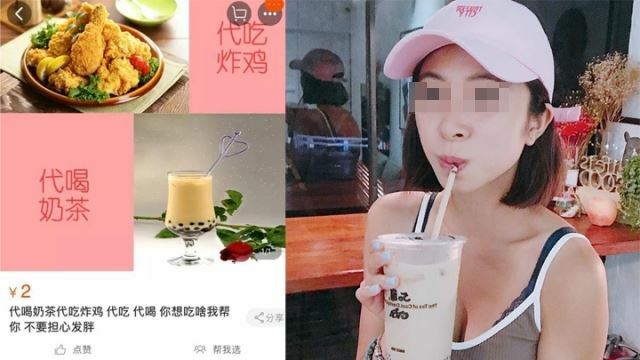 So beautiful, in fact, that photos of it shared on social media may make people feel depresses that they can’t visit, so local authorities banned tourist from taking photos. It may sound like a joke, but it’s actually a new law adopted by the Bergün village council and approved by its mayor. 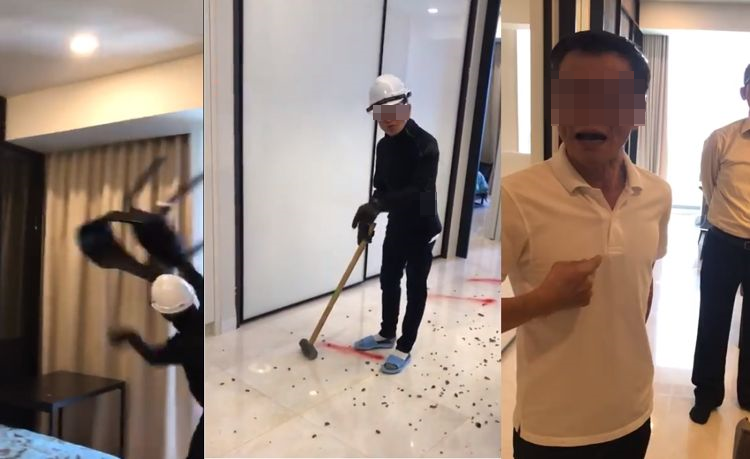 And yes, their justification for the photo ban is that photos of their beautiful home with the stunning mountain peaks in the background could make people seeing them on social media jealous and depressed. 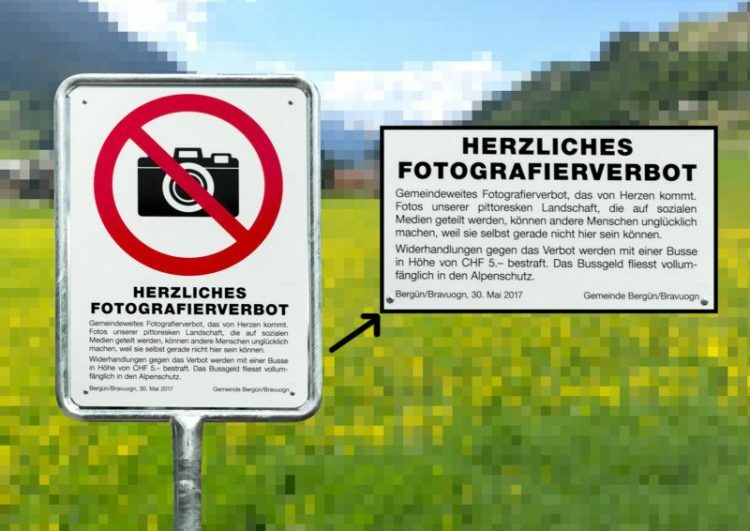 To deter visitors from taking photos in Bergün, they plant to implement a symbolic €5 fine for those caught breaking the new rules.